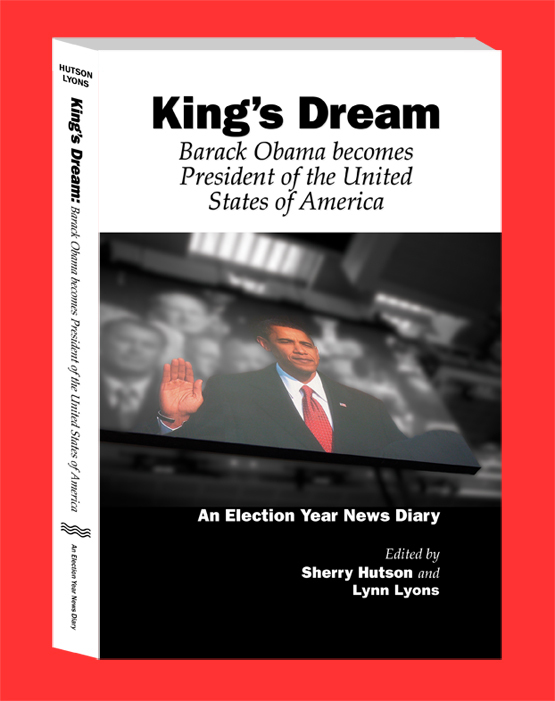 Sherry Hutson, former Web Services director at the University of Illinois Springfield, has co-edited a new book with her sister, Lynn Lyons, on the 2008 presidential election. 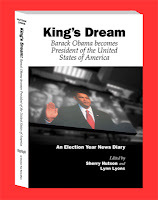 The election year news diary, King's Dream: Barack Obama Becomes President of the United States of America, uses hundreds of quotes from journalists and writers to tell the story of the Obama/Clinton primary race and the Obama/McCain presidential race in chronological order. You can read more about the book and find extras at www.kingsdream.com. The book can also be purchased on the site from LULU Press. “We hope you enjoy it as much as we do. It's a great piece of history for your bookshelf,” said Hutson.